Leaving Early: Youth Suicide – the horror, the heartbreak, the hope by Bronwyn Donaghy is a book about … well, exactly what the title suggests. It takes the reader and plants her (as in me in this case) in the middle of three families. The words are written by a published writer who hasn’t experienced suicide herself, but Ms Donaghy obviously felt the families pain and torment. The words are powerful, because the stories are powerful. The heart rendering stories of Collin, Jason and Maz are contrasted by cold, hard facts. The two are literally placed side by side. The author draws the reader in with emotion in one chapter and then swaps over to hard hitting facts in the next. As the pages turn, almost by themselves, I was left feeling battered and bruised from the experience. I can’t count the times I had to put the book aside and walk away, my vision blurred with tears. This is not an easy book to read, but I felt compelled to return to it and read more about the families and learn more about suicide. Published in 1997, Leaving Early is a little dated with the information supplied, especially the statistics. However, it was interesting to see that many of the suggestions made in the book for improving suicide awareness have been implemented. Unfortunately, the suicide rate continues to climb, so it hasn’t made much difference. I believe this is because most parents think “it won’t happen to us” and tune out. 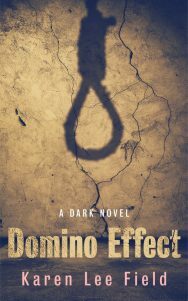 I suspect only those affected by suicide would consider picking up the book. This is a shame, because if we can educate the parents and their children before tragedy strikes, more lives might be saved. …For us surviving parents, this grief is ever after. The isolation, guilt, despair and frustration that most of us feel is the legacy our children have left us. Now, too late, we understand what they must have been going through in the days and hours leading up to their death. It would be naïve to believe that we can make suicide go away, but with care, intelligence, knowledge, sensitivity and genuine concern for our fellow man, perhaps we could hope to reduce these frightening figures. We have to start somewhere. No one should have to farewell their child at a morgue. I’ve said this before and I’ll say it again – if only I had been suicide aware, Barry might still be with us today. This book is not only about suicide, it also gives the reader hope, which is something every family member loses in the face of death. Whilst Collin and Jason ended their lives – leaving their families wounded, grieving and angry – Maz’ life continued. Desperate, Maz attempted suicide, but she was found before it was too late and rushed to hospital. Afterwards, her brother took Maz under his wing and showed Maz that someone loved her, and always had. This one small act opened the doors of communication and that put Maz on the road to life again. I started reading this book as research for the book I intend to write on the same subject. But, my wounds are still raw, and the words in this book are strong. I learned a lot about writing a non-fiction book, but I learned more about suicide and grief. This book should be read by everyone, not only the families who have lost a loved one to suicide.